Light and delicious - the perfect afternoon tea delight! Using electric beaters, beat the eggs and sugar for 6-8 minutes until pale and thickened. Gently fold in the flour then the butter. Spoon teaspoons of mixture onto a lined oven tray. Allow room for spreading. Bake at 180ºC for 10 minutes until golden. Cool on a wire rack. Combine the Philly*, cream and vanilla. 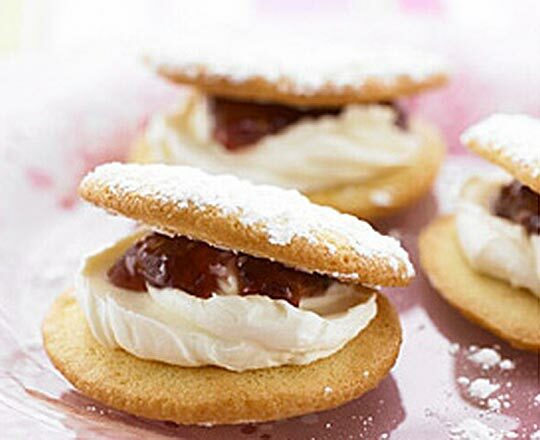 Spread some jam onto the underside of half the cakes. Top with a dollop of Philly* mixture and sandwich with another cake. Dust with icing sugar and serve immediately.